Working is challenging enough, but working from home is a whole new beast. While yes, it is quite rewarding to only have a five second commute and to be able to work in your sweats, if you so choose, it can be a little bit daunting trying to figure out how to balance being at home and getting your job done. Add kids to the mix, and and the challenge can seem insurmountable. One way to make sure that you are able to successfully accomplish your at-home job is to dedicate a space to work in. This space should be for you and you alone, and it should be designed so that you can be as functional in that space as possible. Not sure how to make your at-home office truly your own? Here are some tips and tricks that will enable you to create a functional, practical space that invites success in your work at home. 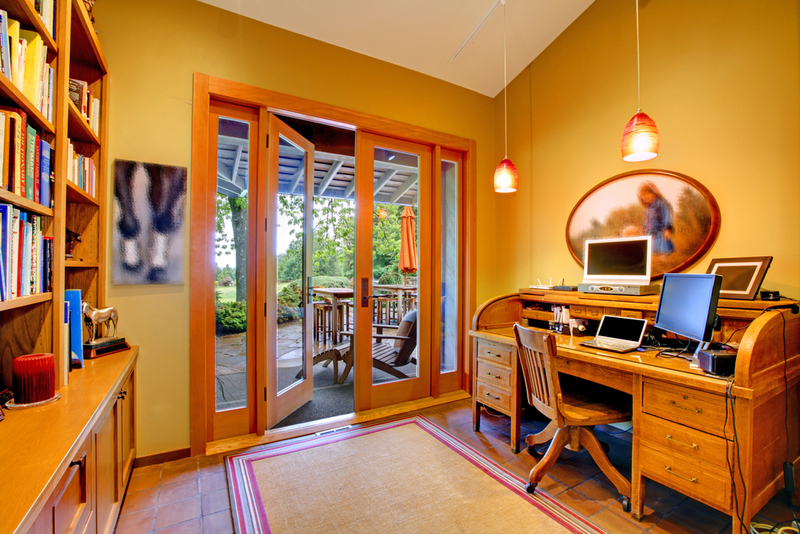 The first key to creating a functional at-home office space is choosing the right location. Think about where the spot is located in your home and how you will be able to function there. If you have older kids who will be at school most of the day and you don’t need to really worry about when they are home, a room that is away from the main living space is ideal. However, if you have younger kids that you need to keep an eye on while you’re working, you might want to consider setting up an office space in the corner of your basement that allows you to be mom while working. Once you have found the right location, add some color to it. Color makes the space interesting and less drab. Go for a color that picks you up and inspires you. Blues and greens are soothing and calming, while yellows and oranges are energizing. Whichever color you decide to go with, make sure it is something that you absolutely love. Add the right furniture to your at-home office in order to make it functional and comfortable. A desk that contains drawers is ideal, but if you have limited space, you may want to opt for a smaller tabletop. A comfortable chair is also a necessity. You can go for one of those basic office-type chairs, or add a little bit of flair by picking a comfortable and decorative arm chair. Of course, you’ll want to add some accessories, including pictures of your family and a cute calendar to help you keep track of all of your priorities. You don’t want to forget about including organizing elements, too. A filing cabinet, shelves on the wall, baskets, and acrylic bins are all great tools for keeping your work neat and organized. However, instead of going for those bland and boring designs, try more festive options. Wicker baskets with pretty liners, a filing cabinet painted with chalkboard paint, and a cork board made out of old wine bottle corks, for example. The bottom line is this: in order to successfully work from home, you need a space to call your own to work in. With these tips, you can create a functional, stylish workspace that you’ll enjoy working in. Naomi Shaw is a freelance writer and mom of three in Southern California. She know how challenging it can be to work from home, and loves creating an office that inspires her to get work done.